LET’S DO THIS. 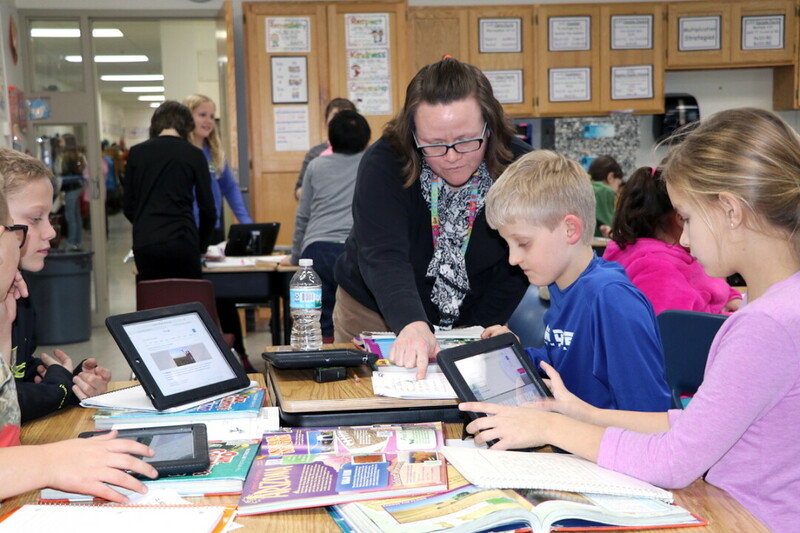 Beth Duellman works with fourth-grade students in a project-based learning environment at Sam Davey School. A group of Eau Claire parents wants to transform the former Little Red School (below) into public charter school that would provide a similar environment for middle school students. A new charter school that would offer outdoors-focused, project-based education to middle school students throughout the Eau Claire school district may be opening as soon as fall 2019. The school would be housed in the former Little Red School building at W3380 State Road 37, just south of Eau Claire. The idea of Little Red Nature School originated from a group of local parents involved with the Initiative for New Directions in Education (INDE). This organization looks for ways to include a new approach to middle school education in our community. Two years ago, Laura Lash, a member of INDE, gathered a group of peers at her house to discuss progressive angles in education. “Based on our conversations and research, we began to slowly coalesce an idea as to new offering for schooling we wanted in the area,” Lash said. In envisioning Little Red Nature School, INDE discussed project-based learning with an outdoor focus for as many as 150 sixth-, seventh-, and eighth-grade students from throughout the school district. Students would apply for admission to the tuition-free charter school and then be chosen by a random admission lottery. The entire approach to education would be project-based. “Students’ learning would be based on projects instead of traditional classes that segregate learning by subject,” INDE member Erika Zerr said. She went on to explain that subjects such as math, science, and computer skills would be incorporated into multidisciplinary projects. Students would apply skills from many disciplines, including problem-solving and communication, in order to develop products and solutions they can share with their community. The Nature School would allow students to spend time outside in a more active environment than a traditional classroom, and provide a smaller class size that might benefit students. “The school could also pilot other innovations for our district such as later start times, a balanced (read: year-round) calendar, and a low- or no-homework policy,” Rybicki said. INDE toured the Little Red building last year, which brought momentum to the project. Proponents realized all of the potential the space has to support a Nature School, including its location on over 30 acres of forest and prairie with well-groomed walking trails. INDE is moving forward on the Nature School becoming a reality. In early January, the Eau Claire school board unanimously voted to support INDE in formally developing its proposal to turn the Little Red School into the Nature School, but there are still some barriers to overcome. 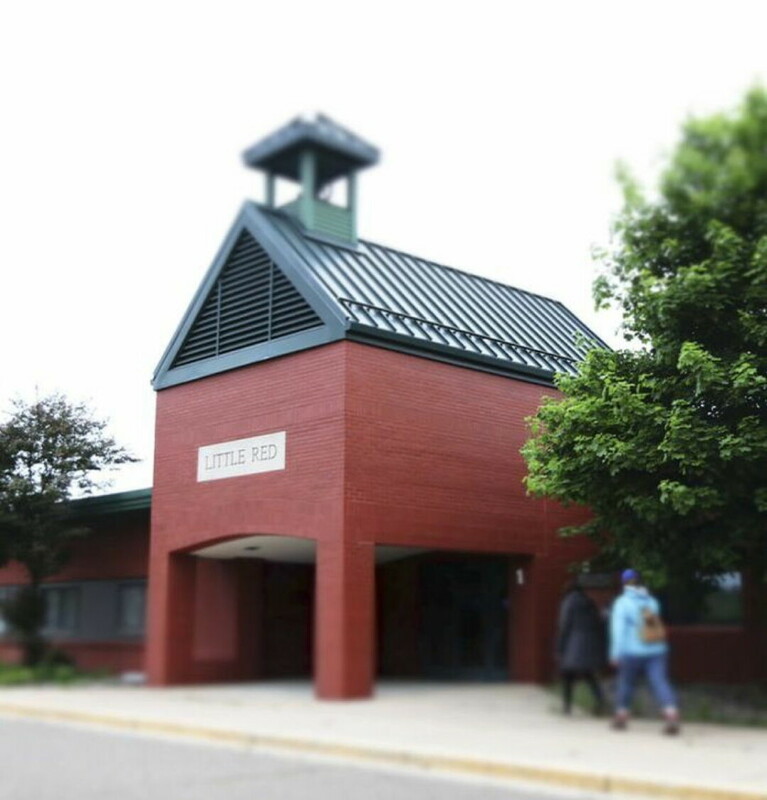 There are those who are opposed to the project because – according to Lash – they believe Little Red should be sold or re-opened as an elementary school. Additionally, significant funds are needed to get this project implemented, including renovation of the school building, which has been closed since 2008 and used as storage space. Lash said both grants and fundraising will be necessary. However, challenges still lie ahead. “Creating a charter school and a district-wide extension campus is huge project and INDE cannot do it alone,” Rybicki added. INDE needs supporters to volunteer their skills, time, and effort. They aim to inspire community members to speak in favor of the Nature School at school board meetings, or donate supplies for the building’s improvement. Rybiki hopes a diverse array of community members will participate in the development of the school. If you have questions about the INDE project or want to get involved, contact info@inde-ec.org or join the mailing list via www.inde-ec.org/contact.